This pub and restaurant is a very popular neighborhood gathering place in Decatur and is owned by Aaron Melton (brother of our friend Thel). It features a fine beer selection and superb pub food (including a cheese puff recipe from Thel's grandmother). 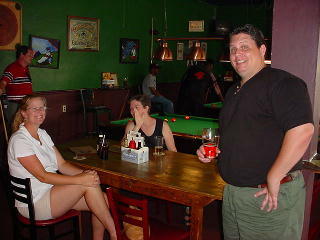 Melton's is the epitome of a friendly neighborhood pub. 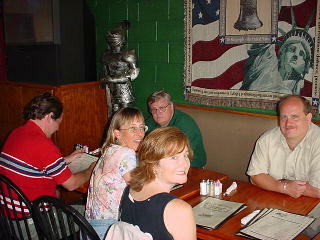 The first photo above shows Mark, Joanne, Jan, Lari, and Gordy trying to make a difficult lunch entree choice from the menu. It is a short taxi ride from the center of downtown Decatur. 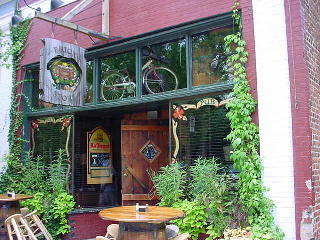 This delightful pub is owned by former employee's of Mellow Mushroom in Athens, GA. The Brick Store is located in an old hardware store that used to sit right on the courthouse square in central Decatur (and yes, the store did sell bricks). 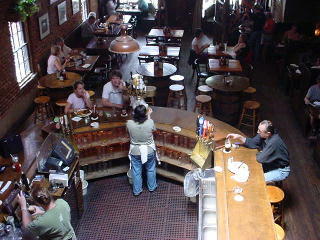 The pub is reminiscent of The Globe pub in Athens (and is just as much fun). There are wonderful food items here (including a juicy turkey burger and crispy fish and chips) and the most intelligent beer selection in Decatur. 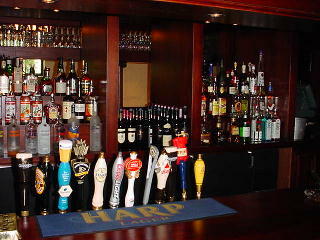 Twain's is a comfortable, rustic pool hall that has a very nice selection of microbrews on draft. 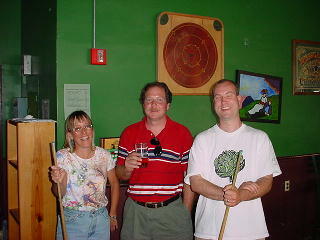 Grab a beer and some balls and head to either the smoking or non-smoking pool room for a game or two. The photos above show (LtoR) Joanne, Mark, Pasha, Marilyn (our brave designated driver), Lynn and Thel. Derek Lawford is an immigrant from the UK who now resides in Atlanta. He's opened five attractive English pubs in the area that are loaded with authentic pub fare, good beer (Fuller's Ales, Hoegaarden, Guinness, Newcastle, Strongbow Cider, Tetley's, Boddington's, etc. ), and beautiful atmosphere. 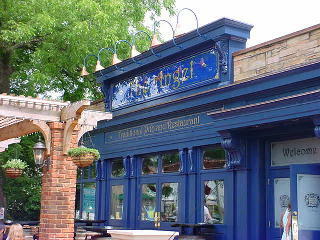 The Angel is Derek's newest pub. 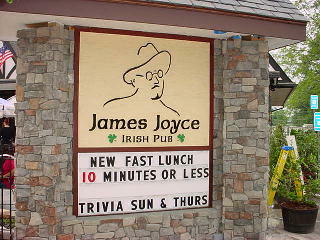 The Avondale Estates area of Decatur has downtown buildings that are designed to look a bit English Tudor in style, and the James Joyce pub is no exception. This gorgeous pub has a dark oak interior, partially covered, rock-walled front patio, and a big menu filled with tasty pub grub and nice beer. 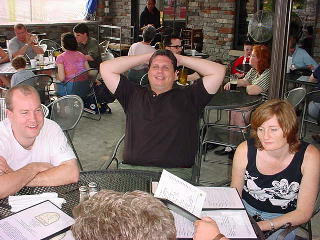 Pasha, Thel and Jan await their Guinness pints in the second picture above. 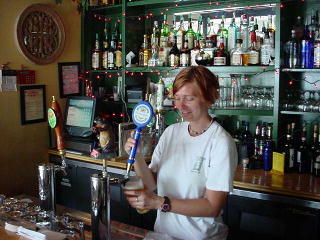 Taco Mac, 240 West Ponce De Leon Ave., Decatur. ph: 404-378-4140. Thinking Man Tavern, 537 W. Howard Ave., Decatur. ph: 404-370-1717. "There are so many great places to get a good pint in Decatur -- make sure the your card doesn't melt from all the credit card processing or you might not get to all the great bars here!"